This beautiful restaurant located within the Mandarin Oriental Hotel offers guests a breathtaking view of Manhattan’s Upper West Side and Central Park. The restaurant itself is spectacular, but guests who want the best view should sit in the private dining area, which seats 12. Asiate was awarded the “2014 Wine Spectacular Best Restaurant Award” thanks to the fact that the restaurant showcases nearly 3,000 bottles of wine from all over the world. Different Pointe of View, situated 1,800 feet above the Valley of the Sun, offers guests breathtaking views all day long. During the day, diners can enjoy stunning views of the vast desert landscape. At dusk, guests are treated to one of the most spectacular Arizona sunsets they will ever witness and once the sun is down, they are able to enjoy the twinkling lights of Phoenix in the distance. In addition to its beautiful views, Different Pointe of View is honored with AAA four-diamond awards regularly as well as being named one of the “Top 10 Mountaintop Restaurants” in the nation by Sunset Magazine. Named one of “America’s Most Beautiful Restaurants” by Business Insider, Green Pastures offers diners a gracious helping of Southern hospitality. Its elegant atmosphere is conducive to a quiet dining experience, and the grounds of the restaurant are so lovely that they are often used for local weddings. Located 21 miles from San Francisco, La Costanera offers guests one of the best views in the world. The restaurant features open air and indoor seating, both of which offer unobstructed views of the Pacific Ocean. When sitting outdoors, guests can also experience the refreshing breeze coming off the surf. Perched 840 feet above the valley, the Top of the World Restaurant treats diners to dazzling views of Sin City and the famous Strip. This aptly named slowly revolving restaurant is consistently voted one of “Las Vegas’ Best Restaurants” thanks to its view, atmosphere, and cuisine. 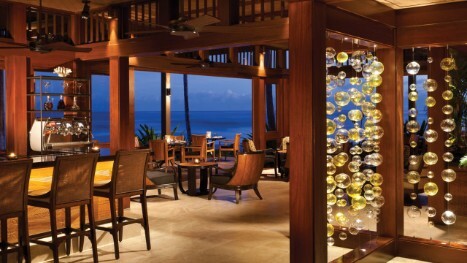 Located on Hawaii’s Kona-Kohala Coast in the Four Seasons Resort Hualalai, the ‘ULU Ocean Grill & Sushi Lounge has been named one of the “Best Scenic View Restaurants in America” by Open Table Diners’ Choice Awards. This is no surprise when you consider what it has to offer. This beautiful restaurant seamlessly blends Hawaiian architecture and modern accouterments with breathtaking views befitting its location in Paradise. Oh, and it also offers diners ultra-fresh, ocean-to-table seafood that’s simply unbeatable. Boasting a beautiful view and delectable food are great ways to ensure lots of customers. But a memorable and personal experience can extend outside your restaurant’s four walls. Want tips on how to keep customers coming back, even if your restaurant doesn’t have sunset views? Reach out today and let’s get started!